Simple and environment-friendly recovery of valuable metals from spent LIBs was explored. The experimental method, which included reduction roasting and hydrometallurgical recovery, is called a quasi-reversible process. The principle behind the quasi-reversible model could be used to assess the energy consumed during the recovery of metals from cathode active materials. The roasting process was analysed using TG–DSC and Kissinger equation. 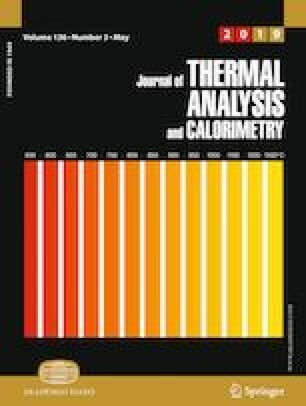 XRD patterns and mass loss ratios were used to investigate the layered LiNixCoyMnzO2 that broke into Li2CO3, MnO, NiO, Ni and Co. Roasting temperature, coke dosage and roasting time were assessed to determine the leaching efficiency of Li, Ni, Co and Mn. Results indicated that the optimum roasting conditions were roasting temperature of 650 °C, coke dosage of 10% and roasting time of 30 min. The roasted products under the optimum parameters were used to leach the valuable metals, and the leaching efficiencies of Li, Ni, Co and Mn were 93.67%, 93.33%, 98.08% and 98.68%, respectively. Li2CO3 solution recovered from water leaching could be utilised to produce Li2CO3 by evaporative crystallisation. Moreover, divalent solution of Ni, Co and Mn obtained via acid leaching without added reducer could be recycled in the co-precipitation of the ternary precursor. This work was financially supported by the National Natural Science Foundation of China (Nos. 51774127, 51604105) and Natural Science Foundation of Hunan Province (No. 2018jj2091). In addition, Pengcheng Liu wishes to thank Mingjia Du, whose persistent encouragement was a powerful support.